There are lots of fun and simple ways to help kids learn the letters of the alphabet. Here are three simple activities we use with our own kids. We’ve always started with The Alphabet Song. 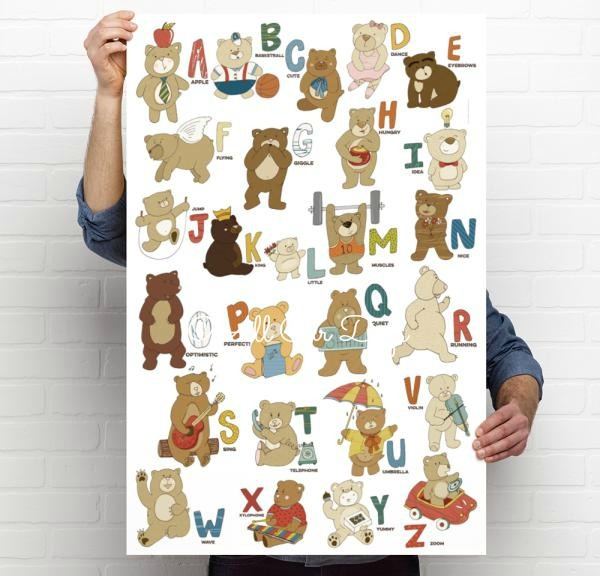 Toddlers and preschoolers generally love to sing so this is a simple way to expose them to the alphabet. Once our kids have a good grasp on the song we start to point to the corresponding letters while we sing. You can simply point to the letters on a simple chart or use an alphabet poster and a big pointer. 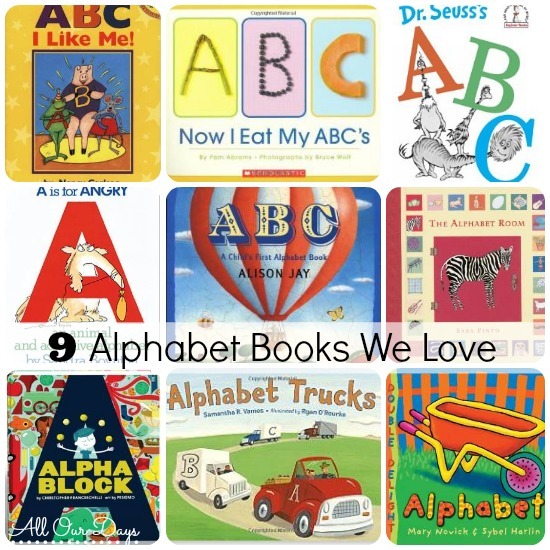 We also read a lot of Alphabet books. Point to the letters as you read and have your little one repeat the letters. Here are some of our favorites. Our kids also enjoy our Alphabet Bang Game (free printable). 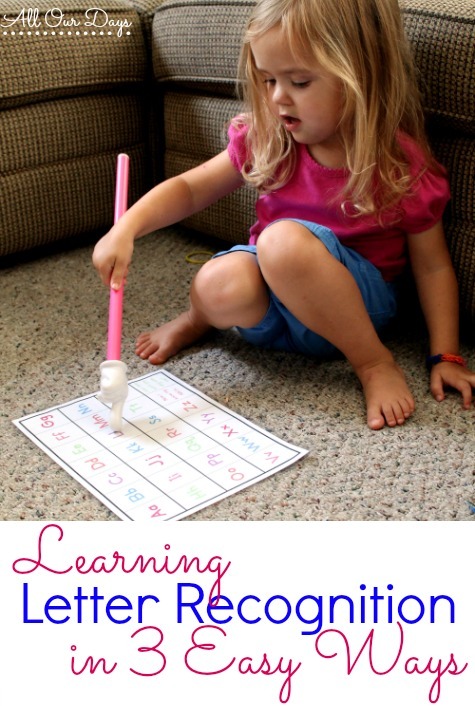 This is a simple game to help little ones practice letter recognition. Older kids can even help younger ones practice by guiding them through this game. The Bang cards help level the playing field so young kids can still beat the older ones or even their parents (something they LOVE to do). It is so sweet, I love it! I would hang it right above my guy’s desk where we do school!!! I would use this to hang in my daughter’s bedroom by her book area! She loves to sing her ABCs!! I would hang it in the bedroom. I love to sit and “teach” in their environment away from the distractions of the tv. My son learned his letters and sounds using the Leap Frog Fridge Phonics toy. My daughter never would play with it but it worked so well for him. Oh my goodness, I am loving your blog so much!! 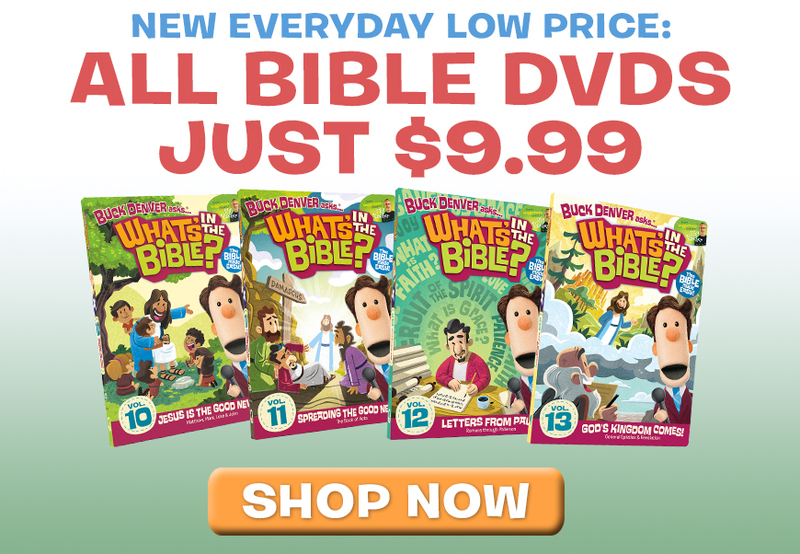 I came across it via the 31 Days site, and can’t wait to read more! And thank you so much for sharing the book recommendations and printables – this is such good stuff! I would hang in our toy area.